If I had to survive on one single wine for the rest of time it would probably be this. Red, sappy, refreshing, reminiscent of elderberries and tinged with iron. It’s made in the south-west of France from the fer servadou grape and it is just what I’d hope to have in my carafe to wash down steak-frites in an old-school bistro. 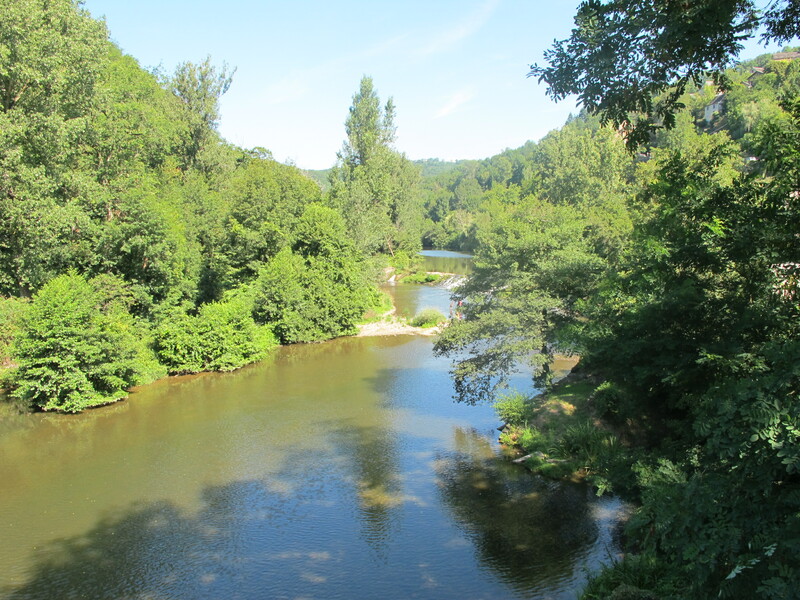 It was introduced to me by a friend whose family has an old farmhouse in the Aveyron. 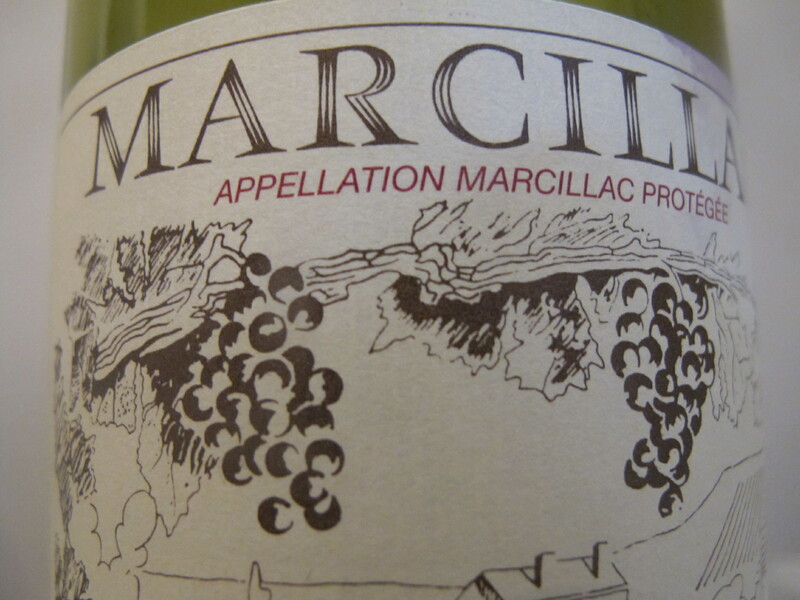 Over years of summer holidays they have experimented extensively to see which producer’s marcillac they like the best and I am happy to say that I have joined in. 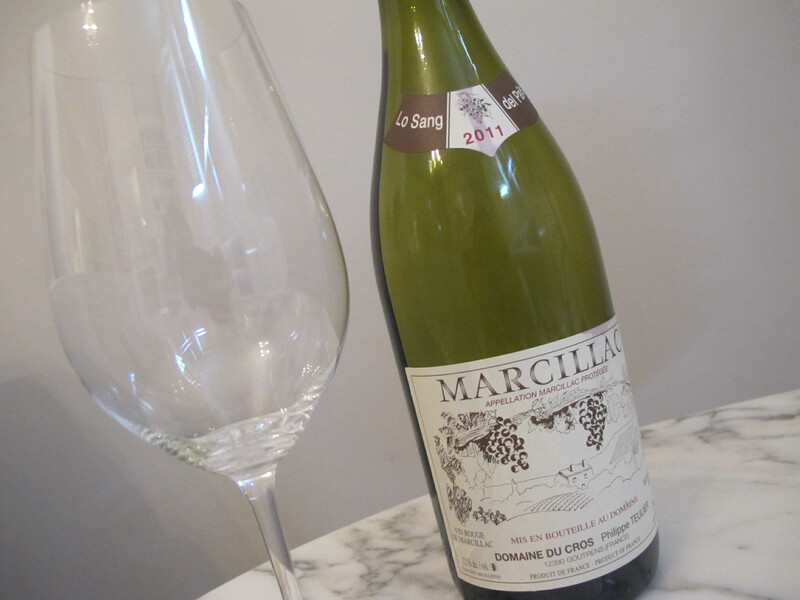 For the past few years Domaine du Cros lo Sang del Pais has been the winner. The reason is the taste. The beautifully designed label is a coincidence. She imported some from France for her birthday last week so 50 of us drank it out of sturdy magnums whilst eating aligot (an impossibly delicious sort of cheesy mash) and magret de canard with green beans. Two days later I went for dinner in my local pub-restaurant The Bird in the Hand, saw the same wine on their list and ordered it again. Having opened the evening with negroni we didn’t finish the bottle. I took it home and had a glass the next night and the night after and was very sad when it was done. It’s a simple, vigorous wine that needs to be drunk whilst it’s fighty and young. It isn’t fancy or flattering. It doesn’t simper or try to impress you with its size. Or with its oak. It just is: a worker’s wine, a thirst-quenching, lively, good company wine. I’ve shared bottles with many dear friends and hope to share many more.